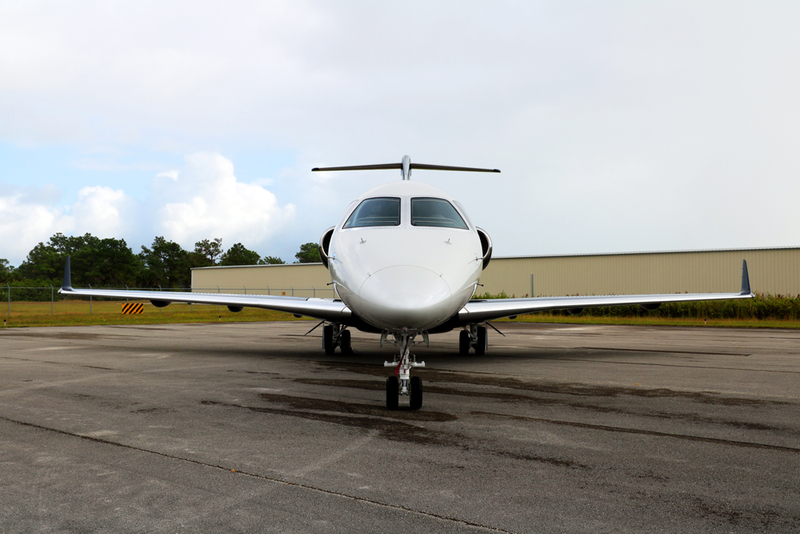 This outstanding aircraft is based in Melbourne, FL and may be viewed by appointment. 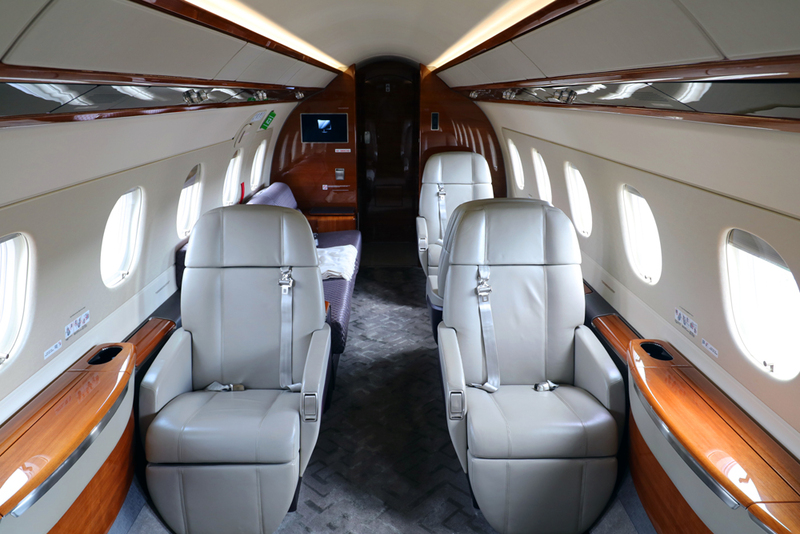 Passenger seating consists of a forward four-place club, and an aft cabin right-hand three-place divan opposite two (2) club seats. 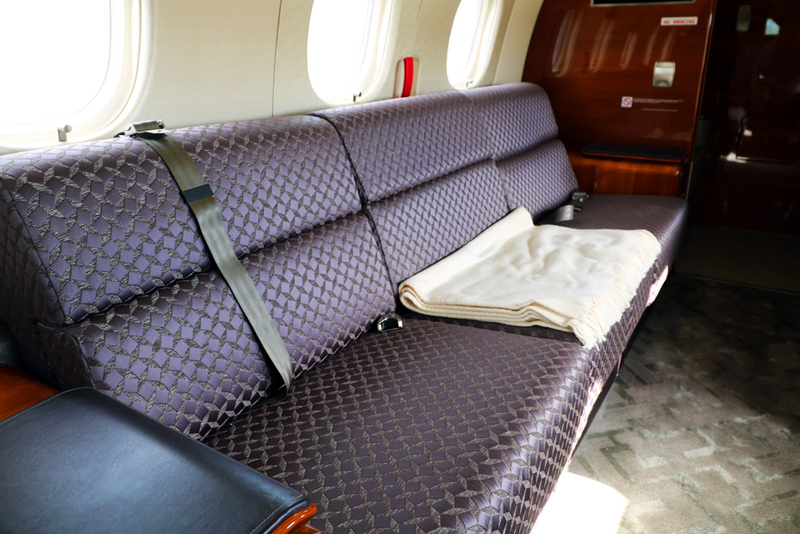 The divan is certified for two (2) occupants during taxi, takeoff and landing, and there is a belted lavatory seat. 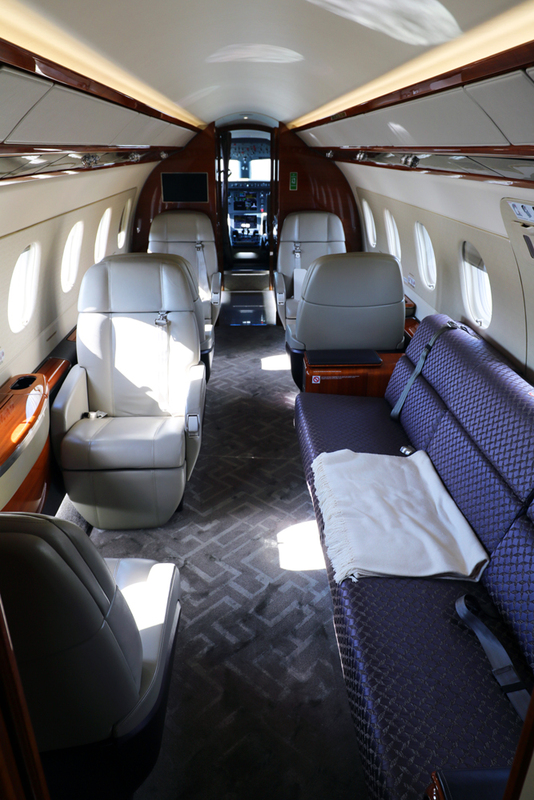 All six (6) single club seats are the optional “Enhanced” seats featuring a leg rest and an adjustable wing-style headrest. 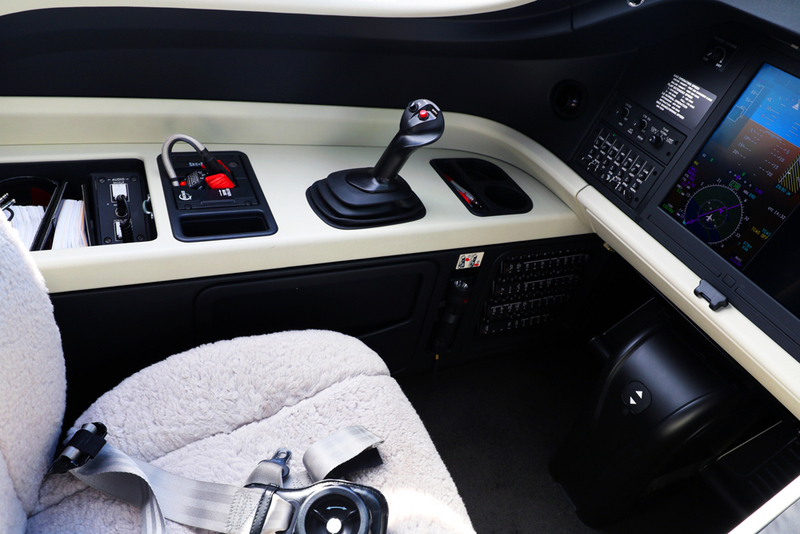 The cabin features LED lighting and there are 110 VAC outlets installed throughout the interior. An Enhanced (Honeywell Ovation™ Select) Cabin Management System consists of multiple personal control units, dual 17” HD LCD bulkhead monitors, two (2) 9” individual LCD plug-in monitors with multiple monitor receptacles, galley 8.9” touchscreen monitor, a Blu-ray player, and an auxiliary panel with multiple inputs including HDMI, USB and RCA jacks. 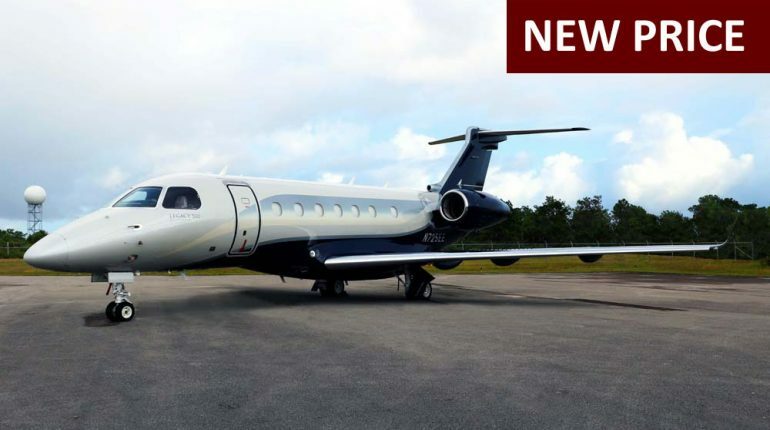 This aircraft features an Iridium SATCOM with two (2) cabin wireless handsets. 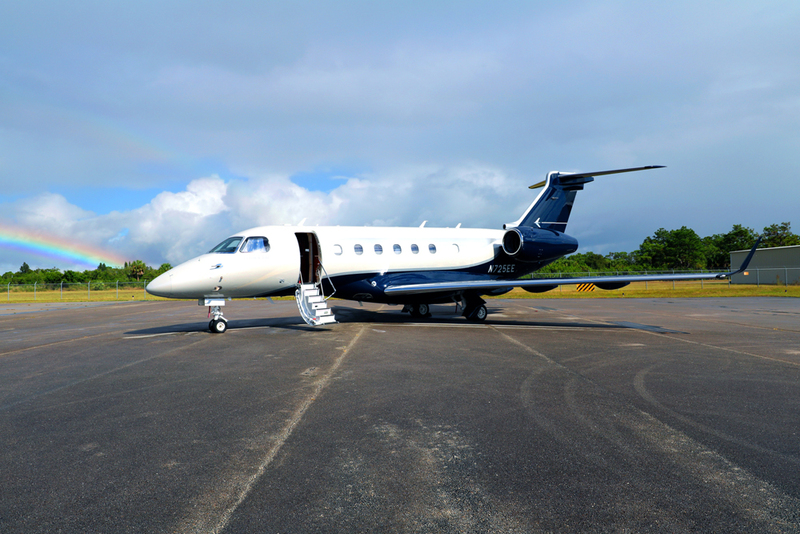 Gogo Biz ATG high speed data and SwiftBroadband satellite high speed data systems are provided via Wi-Fi. The interior features walnut (medium brown) high gloss veneer, warm, silver-colored decorative plating, and beige counter tops. 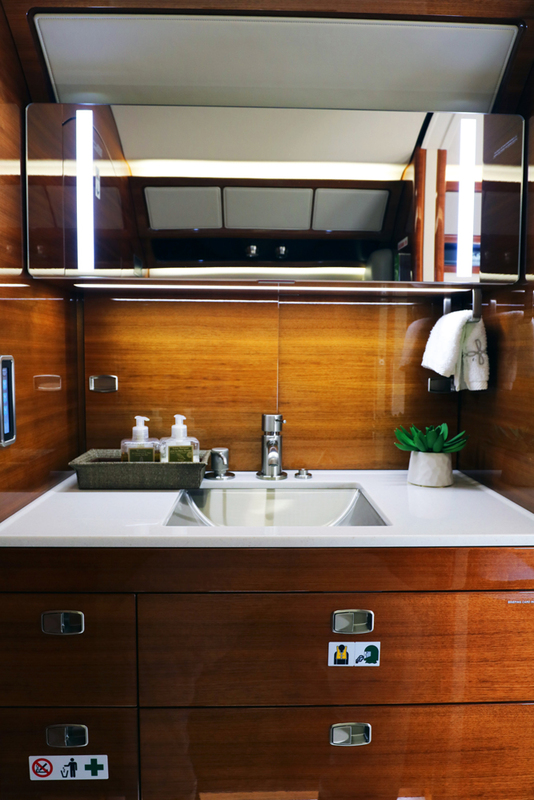 Dark taupe, cut-pile hand-made wool and silk carpeting with a tonal, geometric design is installed in the main cabin, and the galley and lavatory feature white granite/stone flooring with dark flecks. The headliner and upper sidewalls are covered in cream-colored ultraleather with a matching color linen texture on the window panels insert, and the lower sidewalls are covered in a linen textured taupe ultraleather with walnut veneer accents. The PSU panel frames are also finished in walnut veneer. The cabin single seats are covered in taupe leather with contrasting accent leather, and the divan is finished in fabric deep royal plum colored fabric, also with matching accent leather on the arm rests and surrounding drawers. 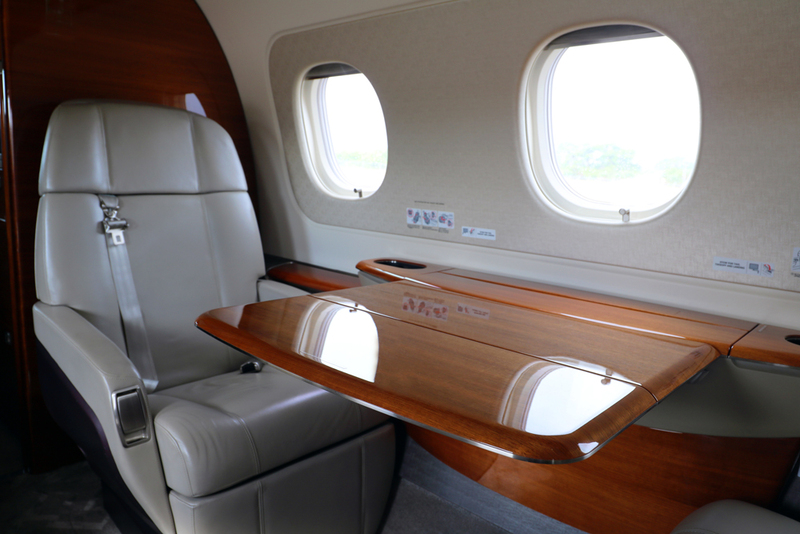 Installed interior completion options include: Special Veneers, Stone Floor on Galley and Lavatory Floors, Special Carpets, and Special Veneer on Valance. The vacuum-flushing lavatory is equipped with a belted toilet seat that is certified for occupancy during taxi, takeoff and landing. Opposite the toilet is a lighted vanity with sink and faucet. 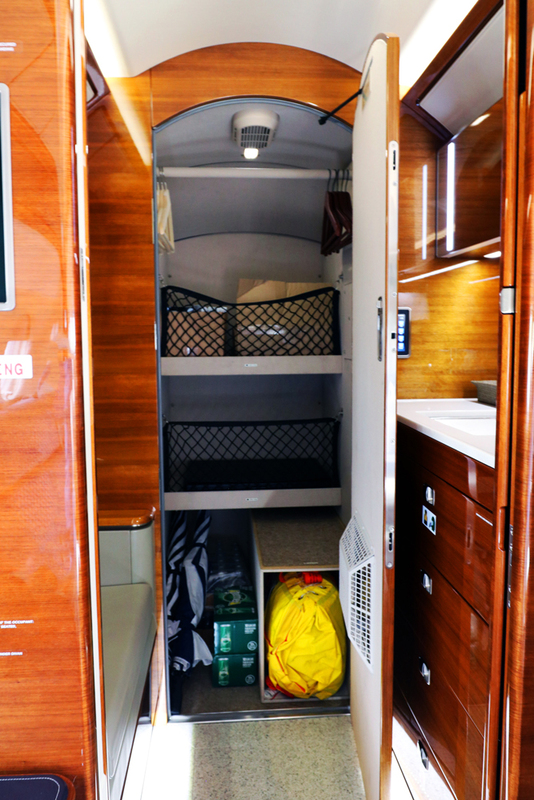 The lavatory compartment features a window and the internal baggage compartment.